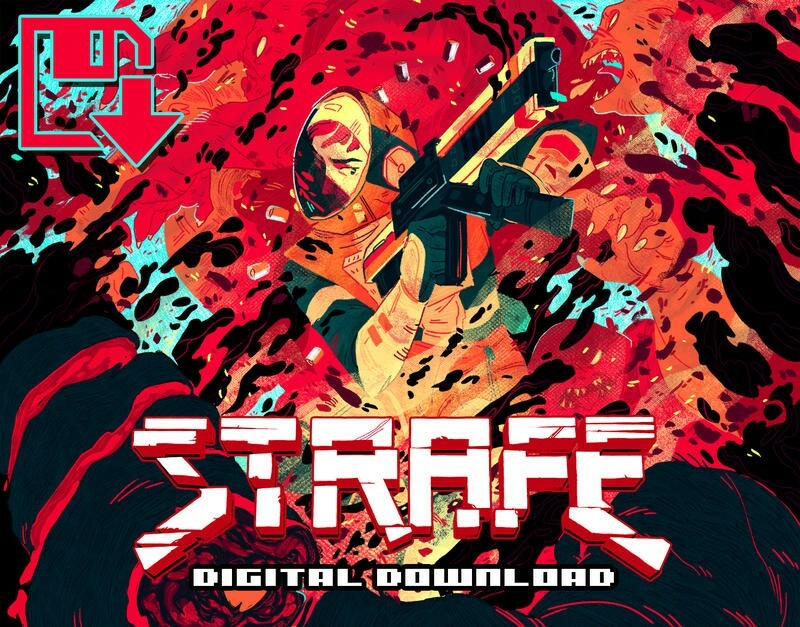 It's been a long time in coming, but Strafe is finally here. The 90s inspired, roguelike first-person shooter has been in development for quite some time after a successful Kickstarter run, and the team behind it, Pixel Titans, and publisher Digital Devolver have done a fabulous job marketing it. With just five more days until launch, Devolver has one last trailer to crank out and send us partying like it's 1996 all over again. ENDLESS CHANGING LEVELS! Randomly-generated levels are always different and violently unpredictable. Rooms, enemies, power ups, monster closets, and secrets move around every time you die and die and die and die! As a Scrapper on a impossibly dangerous mission at the edge of the galaxy, you only have one life to navigate all the nightmarish terrains of STRAFE®. When you die, nothing will ever be the same again. I've been a huge fan of Strafe since the first time I laid eyes on it, and I'm thrilled to finally get the chance to play it. The game is coming to the PlayStation 4 and PC on May 9.